On Dec. 4, the Mount Desert Island region's League of Towns sponsored a public forum to discuss the funding formula for the MDI Regional High School. 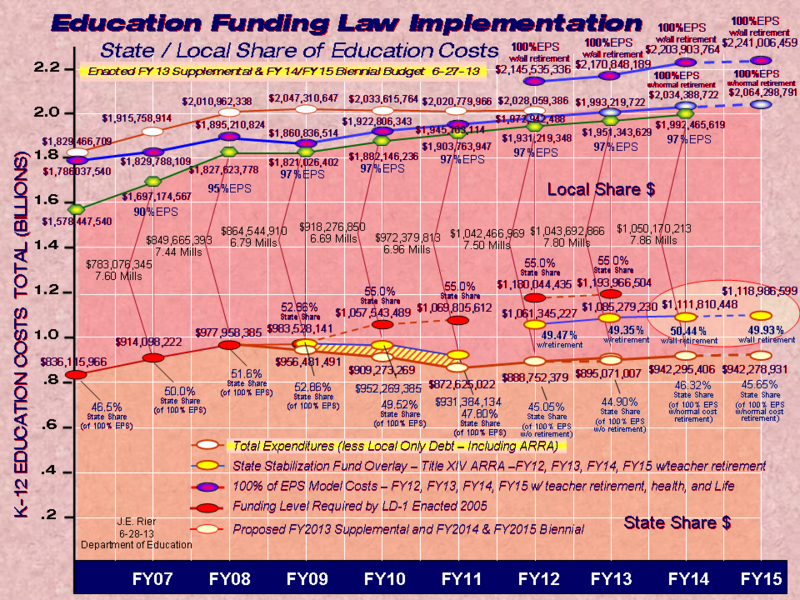 At the forum, Superintendent Rob Liebow gave this Powerpoint presentation(32Mb *.ppt) on the history and application of the funding formula with cross-town comparisons of tax effects on equivalent taxpayers. Post your comments below and vote in this poll. ...Because property values in Mount Desert are so much higher than anywhere else on the island, the selectmen say their town’s share of high school funding is disproportionately large. They think each town’s payment should be based solely on the number of students it sends to the school. Officials in the other three island towns maintain that the funding formula is fair. ...Based on a per-pupil calculation, the formula is not equitable. When evaluating the funding formula based on percentage of taxes paid by like-valued property owners, the formula is equitable. Under the formula, a property owner in Mount Desert with a home worth $336,000 will pay about $550 in taxes toward the cost of education, while a property owner in Bar Harbor with a home of the same value will pay about $650. As home values go up, Mount Desert property owners continue to pay slightly less than Bar Harbor property owners with homes of the same value. The figure to be compared, then, is not a number from the middle of the formula, but rather one from the endpoint; in this case, the share borne by individual taxpayers. When attempting to compare how much the owners of similarly assessed properties pay for education in all member towns, the existing formula appears to be the most equitable. In fact, Mount Desert taxpayers, who have one of the lowest tax rates in Maine, pay the least amount per household for education, even though the town’s per-pupil cost for MDI High is higher. ...Residents of Mount Desert said they were unwilling to put up with the formula, which has the town paying twice as much per pupil as the other towns. Residents elsewhere said it would be unfair to shift more of the costs to the less wealthy towns. They said that basing the assessment solely on enrollment could result in a substantial decline in any revenue at all from Mount Desert. They said that the four towns should consider themselves as a single community, not as four separate communities, when it comes to the education of MDI’s children. There was interest at the high school meeting about what the effect would be on individual households if the funding formula were "tweaked" one way or another. some graphs and tabular data showing the general dynamic of the funding formula. In these graphs, note the thin magenta vertical line positioned at the location of the present formula of 33% enrollment and 67% valuation. Perhaps the simplest way to frame this is to observe that, with a formula based on 100% valuation and 0% enrollment, the average HS assessment represents about $500 in the tax bill of a $320,000 median value house in all four MDI towns. At the other side, with a formula based on 100% enrollment and 0% valuation, that same $500 median HS cost would be the tax burden on a $250,000 house in Bar Harbor, a $320,000 house in both SWH and Tremont, and a $675,000 house in Mount Desert. And any shifting the ratio of enrollment and valuation just slides the tax consequences somewhere between. ...If judged by each town’s relative tax contribution, the formula is equitable. 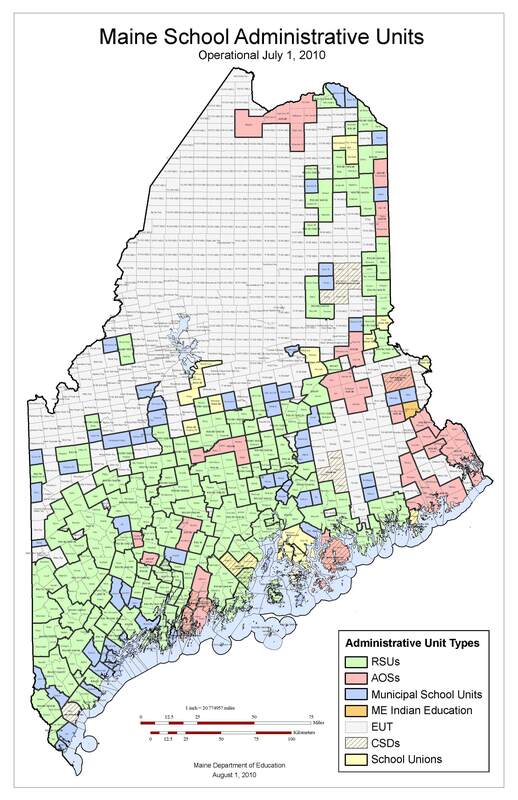 Under the formula, Mount Desert will raise 1.2 mills in tax effort to support the high school for the upcoming school year, while Bar Harbor, Southwest Harbor and Tremont will raise between 1.6 and 1.7 mills. A property owner in Mount Desert with a home worth $350,000 paid $380 in taxes toward the cost of education this year, while a property owner in Bar Harbor with a home of the same value paid $550. As home values increase, Mount Desert property owners continue to pay slightly less than Bar Harbor property owners with homes of the same value. Because of Mount Desert’s low tax rate, Mr. Robinson pays the same each year in taxes as a Tremont resident with a house worth $300,000.